At Intuit, we are driven by a desire to solve the important problems small businesses face every day. Our software and services provide practical help to save business owners time in getting on top of their finances, accounts and payroll. We also work hand in hand with accountants, bookkeepers and business consultants and are passionate about helping them distinguish themselves with the best client service. Our series of live webcasts will cover practical topics relating to managing accounts for small businesses. This webinar is for QuickBooks desktop customers (currently using SimpleStart, Pro or Premier). Rosalyn will be showing you the advantages of moving to QuickBooks Online - see how to get more done wherever your day takes you - anytime, anywhere, on any device! 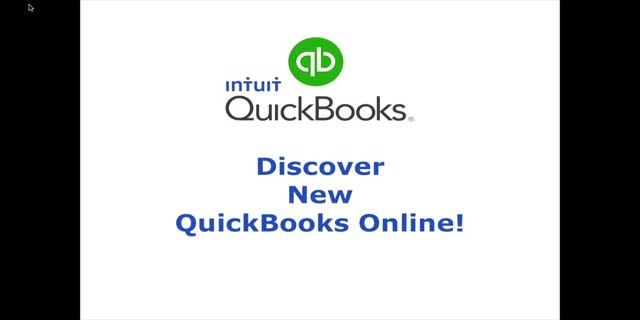 This webinar is for QuickBooks desktop customers (currently using Pro , Premier or SimpleStart) . Rosalyn will be showing you the advantages of moving to QuickBooks Online - see how to get more done wherever your day takes you - anytime, anywhere on any device! The New QuickBooks 2014 is designed to make help you and your clients be even more efficient and organised. Better Record keeping and file management. Fewer steps to complete tasks and less data entry! The second LIVE RTI Q&A with Rebecca Benneyworth, this session will focus on the non standard situations and how to handle them. Rebecca Benneyworth MBE trained in London with Kidsons and was chief accountant of a manufacturing company. She has her own small practice and lectures extensively for a range of professional bodies, accountancy firms. & HMRC. Robert Lovell is deputy editor on AccountingWEB and has several years’ online editorial experience working across a variety of sectors in business and finance B2B publishing. Grounded in project finance, PPP/PFI and transport, in recent years he has built up specialist knowledge in accounting, tax and writing for online communities . Alison Ball is Head of Accountant Programmes at Intuit UK. A former accountant herself, Alison understands the issues and challenges that practicing accountants and bookkeepers face daily. She works hard to create solutions and programmes that help practitioners save time and grow their practices. Rebecca Benneyworth, Accounting WEB & Intuit deliver RTI Implementation Essentials. Rebecca Benneyworth MBE trained in London with Kidsons and was chief accountant of a manufacturing company. She has her own small practice and lectures extensively for a range of professional bodies, accountancy firms, commercial organisations and HMRC. John Stokdyk is editor of AccountingWEB and has worked for over 25 years as a business and technology journalist. He was Online/IT editor at Accountancy Age before joining AccountingWEB in 1999 and has written for The Financial Times, The Daily Telegraph and Financial Director. Alison Ball is Head of Accountant Programmes at Intuit UK. A former accountant herself, Alison understands the issues and challenges that practicing accountants and bookkeepers face daily. She works hard to create solutions and programmes that help practitioners save time and grow their practices. Learn how QuickBooks Online can help you track VAT. In this short course, Reesa McKenzie shows you how to set up VAT. She will also review the VAT Centre options and show you how to select VAT codes for transactions.